Whether you are a complete beginner, advanced student or an adult looking to return to ballet, we have the class for you. Join us for a fun, friendly ballet class that will help you keep fit, shape and tone your body and increase your flexibility. Adult classes are 90 minutes and are currently offered at three levels; absolute beginners, improvers and advanced/vocational. The beginner level is suitable for students with little or no previous experience of ballet. It introduces the basics of ballet technique with an emphasis on fun and enjoyment. The study of ballet improves posture, general health and co-ordination whilst giving the opportunity to express and communicate through music and movement. 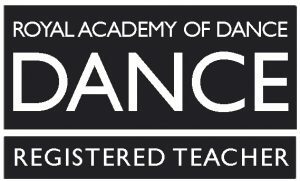 The classes are a perfect preparation for The Royal Academy of Dance (RAD) graded syllabus classes should students wish to enter for examinations. The improver level is suitable for those who have a basic understanding of the terminology and steps and have at least 1 year experience. This class focuses on the higher of the RAD graded examinations syllabus (but with no obligation to take an exam). The advanced/vocational level is aimed at those students who have previous ballet experience and a very good level of understanding of the terminology and steps. These students are ideally looking for a high level and challenging ballet class (including pointe work). The emphasis of these classes will be to enhance, strengthen and improve ballet technique and artistry with the option to work towards RAD vocational examinations. Classes cost £7.50 per 1.5 hours.